RetailTrike™ - an ideal trading platform for food and drink etc. 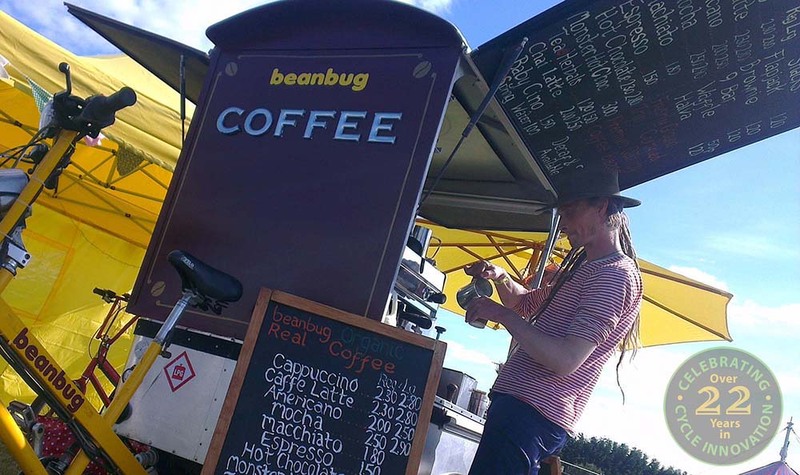 The flexibility of a trike opens up a myriad of temporary and regular marketplaces for Food, Drink and much more. The possibilities offered by the RetailTrike™ are many and often open up a great business opportunity. Cycles Maximus can support any retailer, large or small, in supplying the essential hardware for a mobile outlet, and can make introductions to partners who can assist where a bespoke concept must be delivered.